Leavey Library has over 10,000 films, with approximately 50 new titles added each month. The DVD collection is especially rich in independent films, foreign language films, classic Hollywood films, and documentary films. 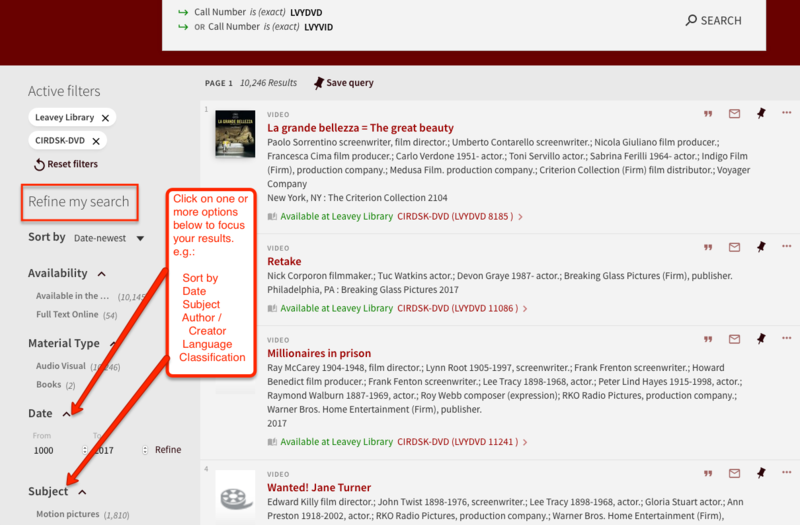 To focus your search results, click on the filters in the left column of your search results, e.g.